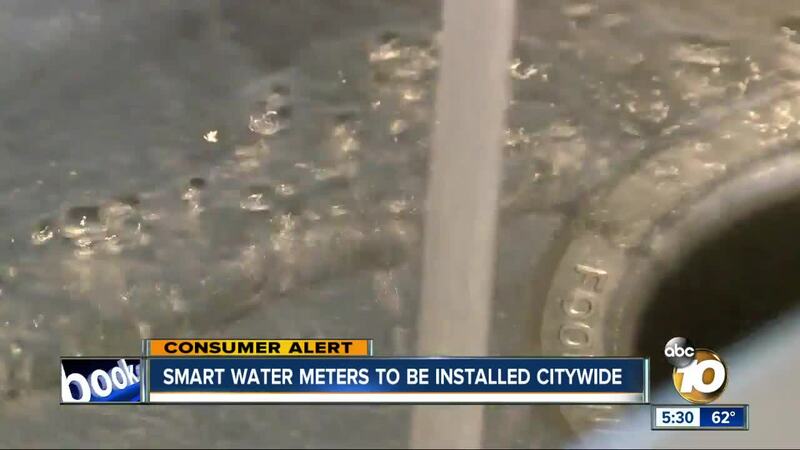 SAN DIEGO (KGTV) - Every home in the city of San Diego could soon have a smart water meter, eliminating the human error that led to thousands of erroneous water bills reaching homes. On Monday, the San Diego City Council authorized up to $25 million to buy more than 250,000 smart water meters from company Itron Inc. The move comes after an audit earlier this year found nearly 3,000 erroneous water bills reached households, some spiking to upwards of $1,000. The audit largely blamed human error from water-meter readers, who are charged with reading hundreds per day. The controversy came to a head when the city discovered one of its meter readers misread 300 meters in Rancho Bernardo, Rancho Peñasquitos, Mira Mesa and Carmel Valley. That reader was terminated.